Okra and corn tart is a seasonal dish from Princess Tofu. This meatless meal is so easy and delicious, you'll want to make this tart every Monday. 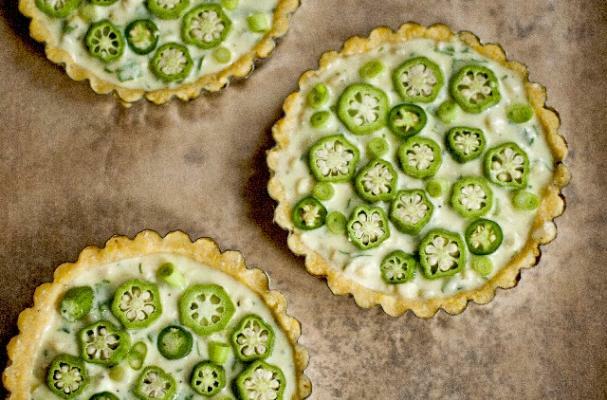 A buttery polenta crust is filled with goat cheese, serrano peppers, okra and corn before being baked in the oven. If fresh okra is unavaiable in your local, substitute with frozen or your favorite vegetable. For full recipe instructions, click here.